China’s “big brother” relationship with North Korea saw an extreme test last week, as North Korean leadership apparently flouted Chinese requests and tested a third nuclear device.If reports in Japanese and Taiwanese press are believed, North Korea went ahead with the test despite direct protests from the Chinese government (China apparently refused to accept a “certain condition” in secret talks). Another report from Reuters says that Pyongyang has told Beijing it will be holding another one or two nuclear tests this year, further ignoring Chinese requests. Both the official response from China and public sentiment within the country seem enraged by what many see as the ungrateful behaviour of the smaller, poorer nation. All of this begs the question — why do the two countries have a special relationship in the first place? And if it’s souring, why bother keeping it up? The relationship dates back at least half a century, with China entering the Korean war on the side of the North. The two countries were united by a shared ideology and Cold War bipolarity that pitted both against the West. Nowadays ideology and anti-Western sentiment appears to have taken a back seat to more practical concerns. For North Korea, the modern benefits of the relationship are obvious. In 2006 the Council on Foreign Relations estimated that the country got 70 per cent of its food and 70 to 80 per cent of its fuel from China, and that an estimated 300,000 North Koreans lived in China, many of them migrant workers who sent money back home. For China, things are a little more complicated. If North Korea’s government collapsed or the country descended into conflict, it would likely create a refugee crisis, and most of those refugee could well cross the border into China, stretching resources in a country that has many of its own problems. There’s also the incredible economic opportunity on offer in North Korea. 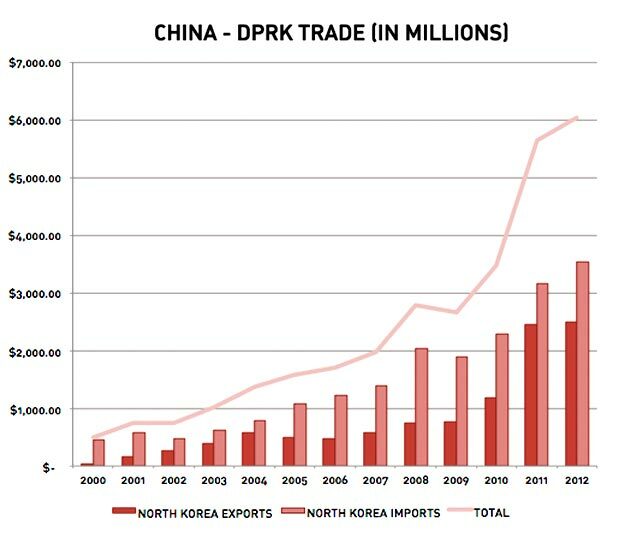 Last week NK News reported that the two countries’ trade had reached an all time high, and included a chart that showed how the trade had exploded in recent years. Much of that growth is based around North Korea’s largely untapped natural resources. One report from last year suggested that the country could be sitting on $6 trillion worth of rare minerals. It’s likely no coincidence that much of this is thought to be rare earth minerals. China is the world leader in the rare earth market, with expertise and resources far beyond most other countries. However, it may not last forever — last year the Chinese government put out a white paper that suggested it’s supplies were running out. 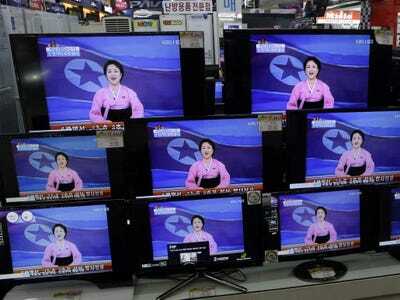 It’s for these reasons few experts expect the latest infractions from North Korea to effect the relationship too much. China has too much to gain from an isolated-but-stable North Korea to punish its little brother.